Man, time flies, doesn’t it? Between working on other projects and catching a cold, it’s been several days since I’ve even thought about my retreat. But considering I need to leave here early Friday (less than 48 hours!) I better get on the ball. 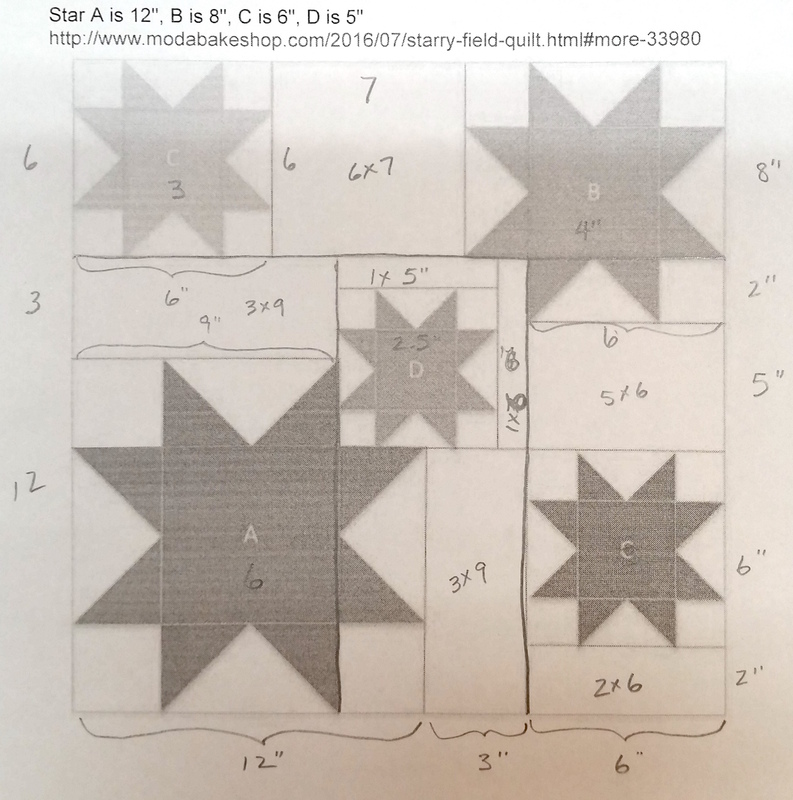 I have my first project prepped to make a quilt for the VA hospital. While I pulled fabrics for that, I also dug through my parts drawer. Most of the stuff in there is lengths of binding that weren’t used, but there are a few other odds and ends, including orphan blocks. 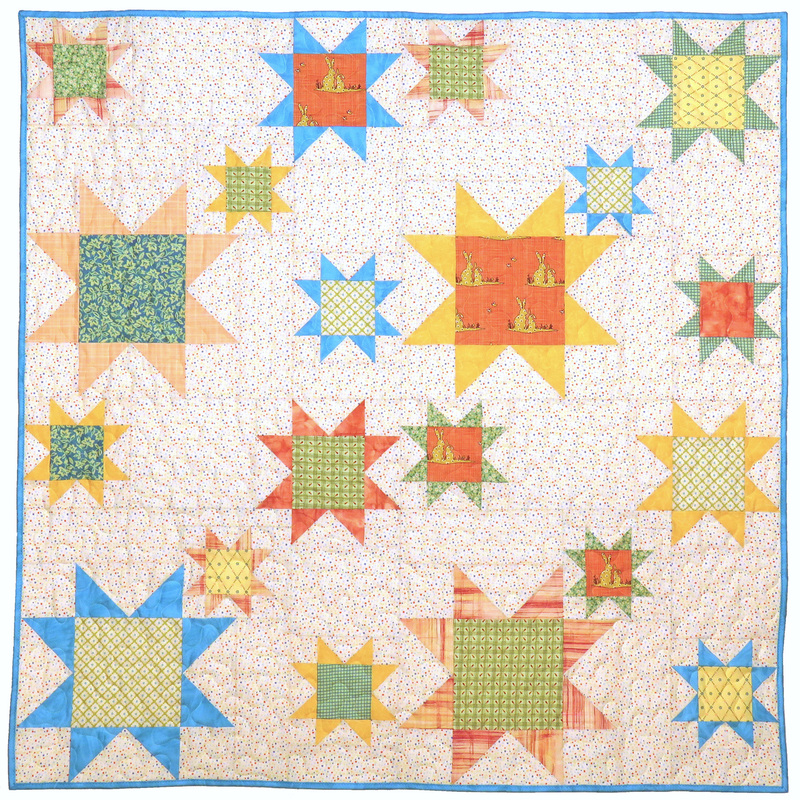 As cute as it is, I don’t make a lot of cute quilts, and I haven’t found use for it. Until now. What the heck, right? 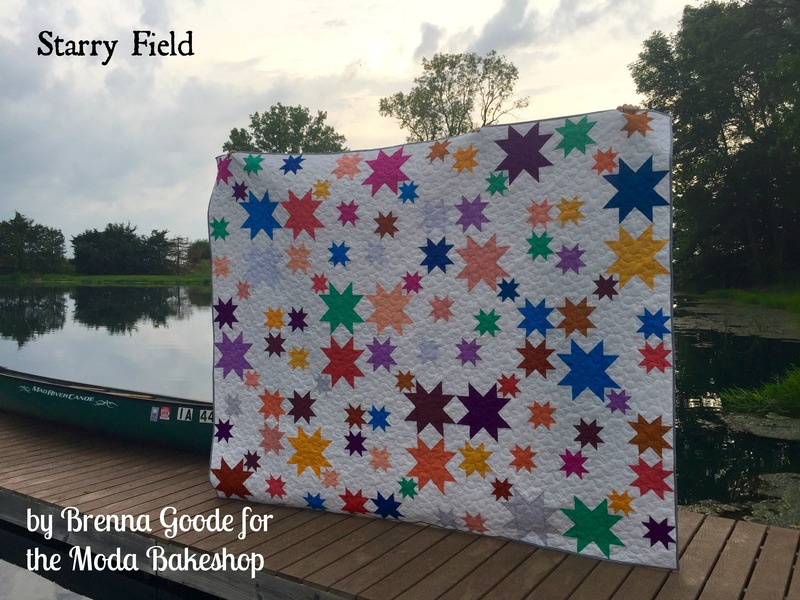 It’s the perfect center for either a stillborn’s quilt or a small child’s quilt. My guild donates both sizes through our university hospital. Or if I love it too much, it might be for the new baby of a family friend. And while I don’t have a lot of those sweet colors left in my stash, there is enough to cobble together something I’ll be pleased to give. Here is the beginning of it on the design wall, pieces cut but not sewn together. So imagine big half-square triangles in pink and yellow all around, and then a double layer checkerboard in pinks, yellows, and blue. 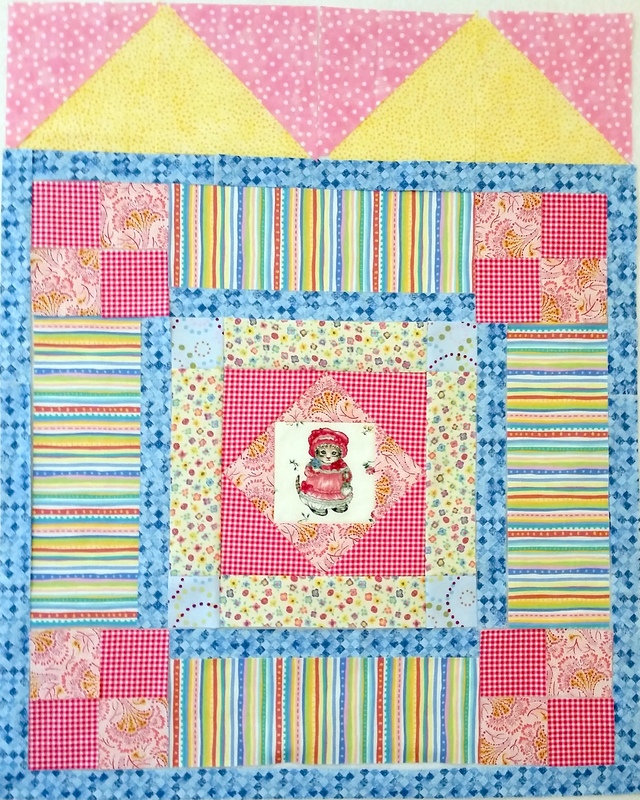 And then probably that more vibrant pink gingham for the last border. One thing I enjoyed while cutting these pieces is completely finishing a few of these fabrics, aside from small scraps. That amazing stripe? That’s all there is of it. And the dainty but whimsical floral on yellow background? Gone. 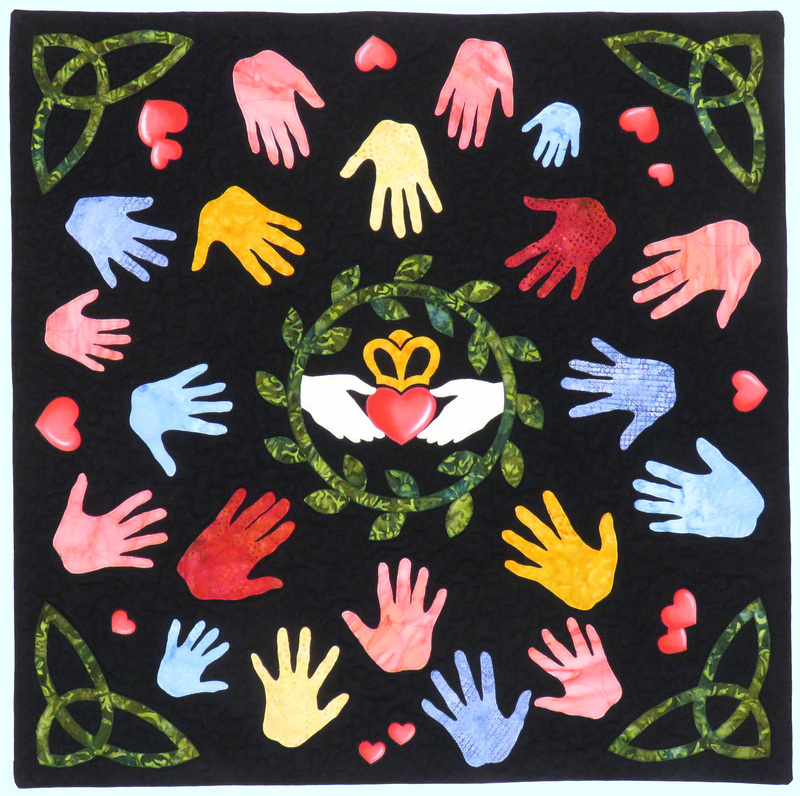 I’ve loved having them and using them, but as mentioned, I don’t make many quilts in pastels and twee prints. It won’t hurt to use them up. Seems like they left off the calculator… I’ll also take my iron and a two-sided ironing/cutting board. And since we have a forecast for several inches more snow, and our work space is in a different building than the bedrooms, I’ll take sneakers for inside and boots for outside. It looks like a lot, but aside from the chair, all of it is pretty compact. Other than chocolate, I am missing anything from this list? 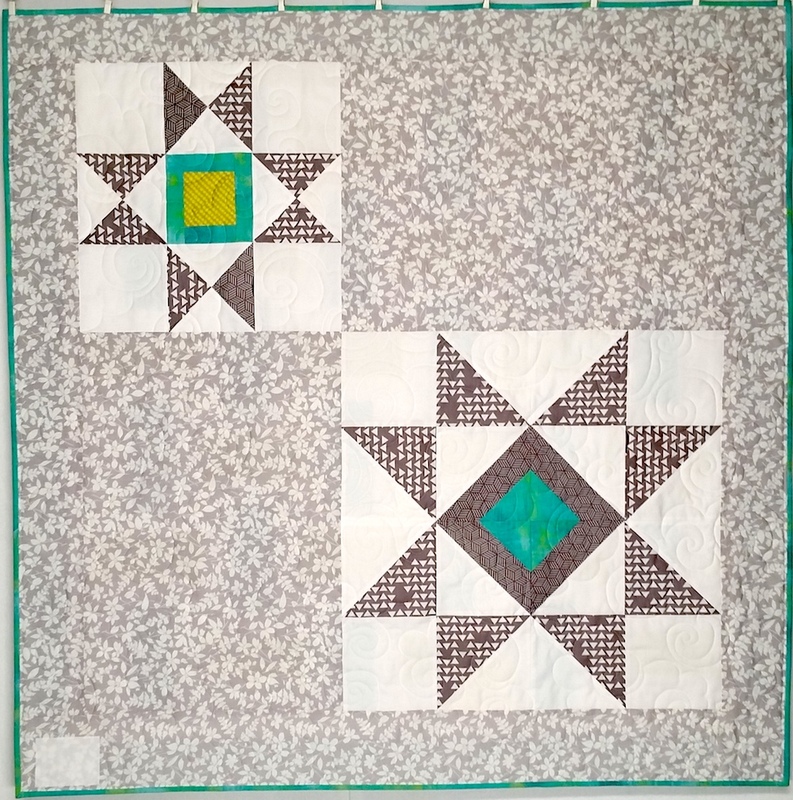 This entry was posted in Medallion Quilts, Quilting and tagged Baby quilts, Design-As-You-Go, Process, Progress, Quilt retreat, Retreat on February 7, 2018 by Melanie McNeil. 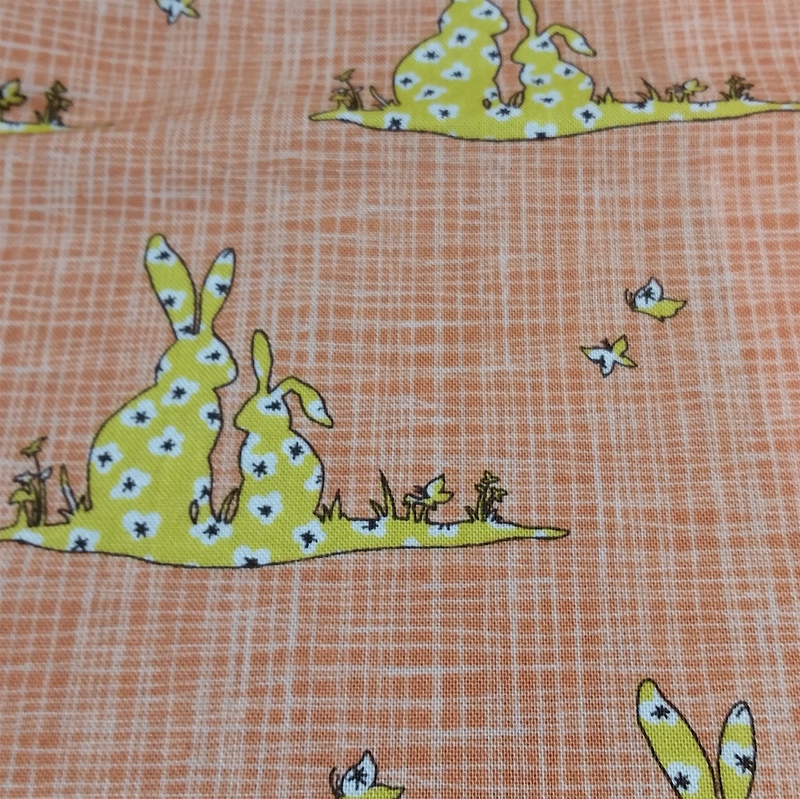 A few weeks ago I started planning a quilt for her to feature this fabric. Well, “planning” is too strong of a word, because as far as I got in the process was pulling other corals and peaches and yellows from my stash. There was no concept to create a plan around. 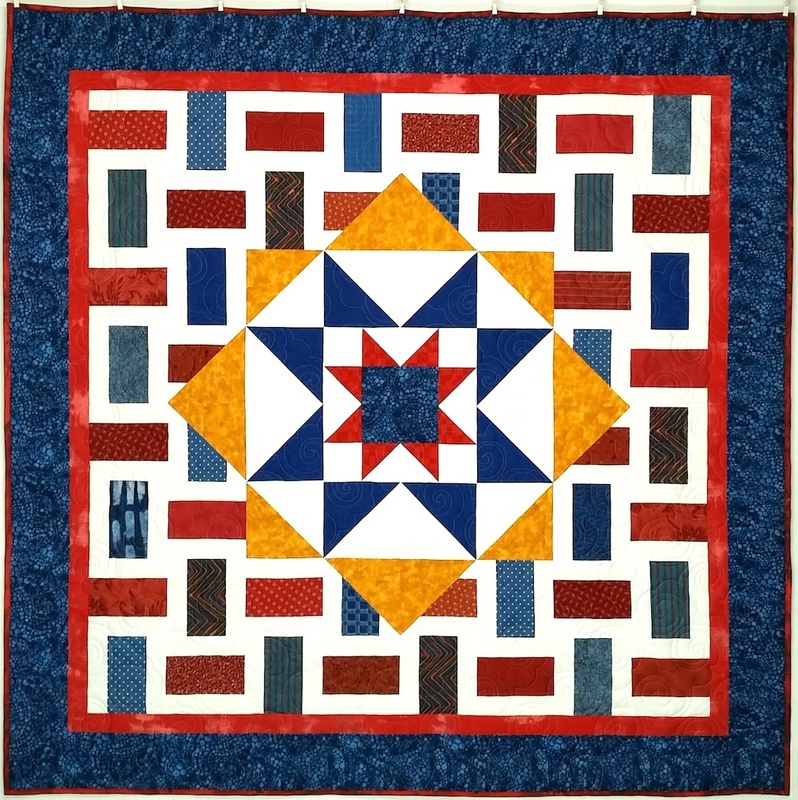 And then one day, a fellow Stashbuster linked the pattern for this quilt in a comment. 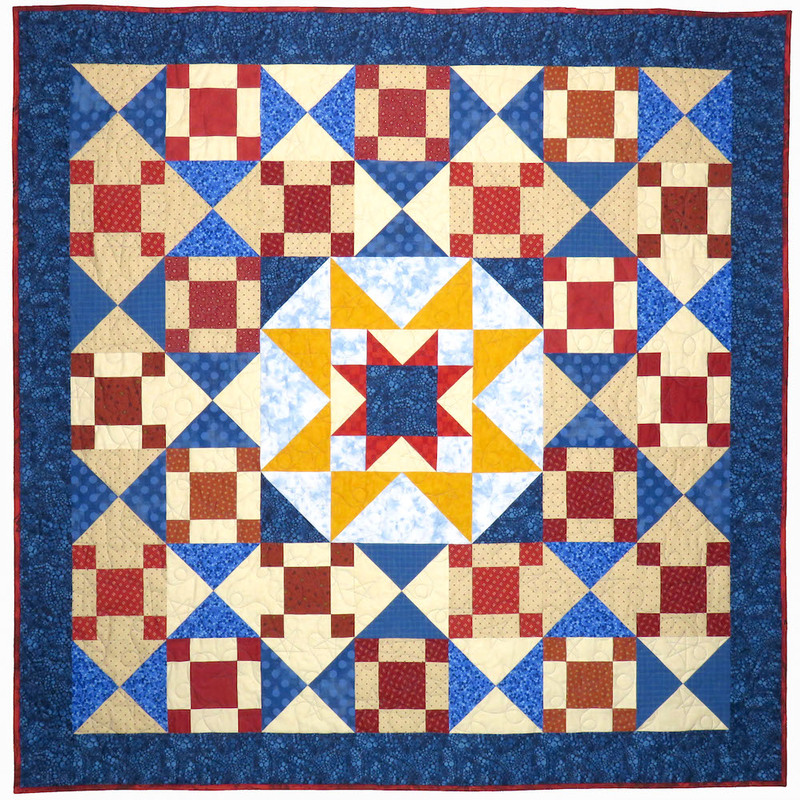 I like quilts with blocks of multiple sizes, one more reason I like medallions. 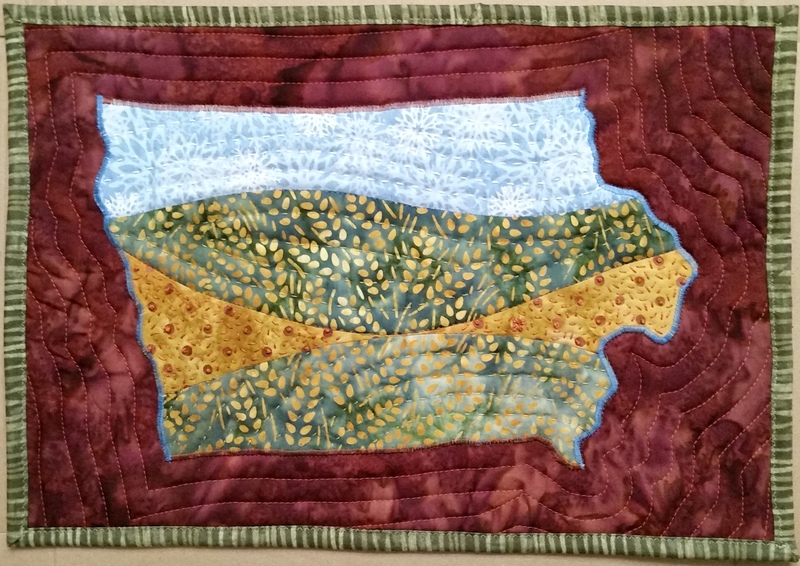 This one is made in a 4 x 5 layout of 21″ blocks, for a total size of 84″ x 105″. It has five stars of four sizes per big block. 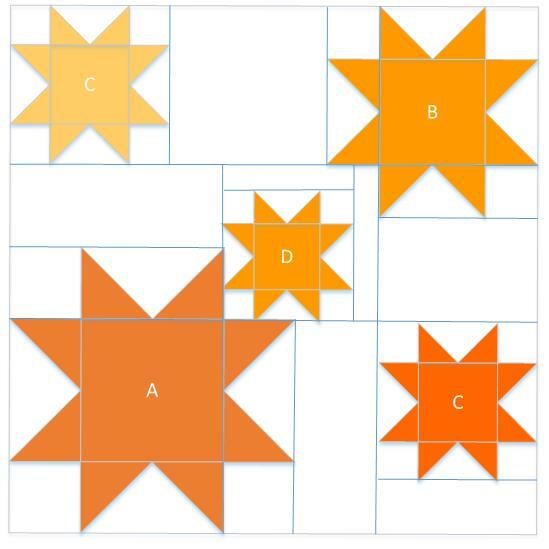 It’s easier to see when you look at just one block. My original thinking was to use those peaches and yellows, but I decided to broaden the palette some. 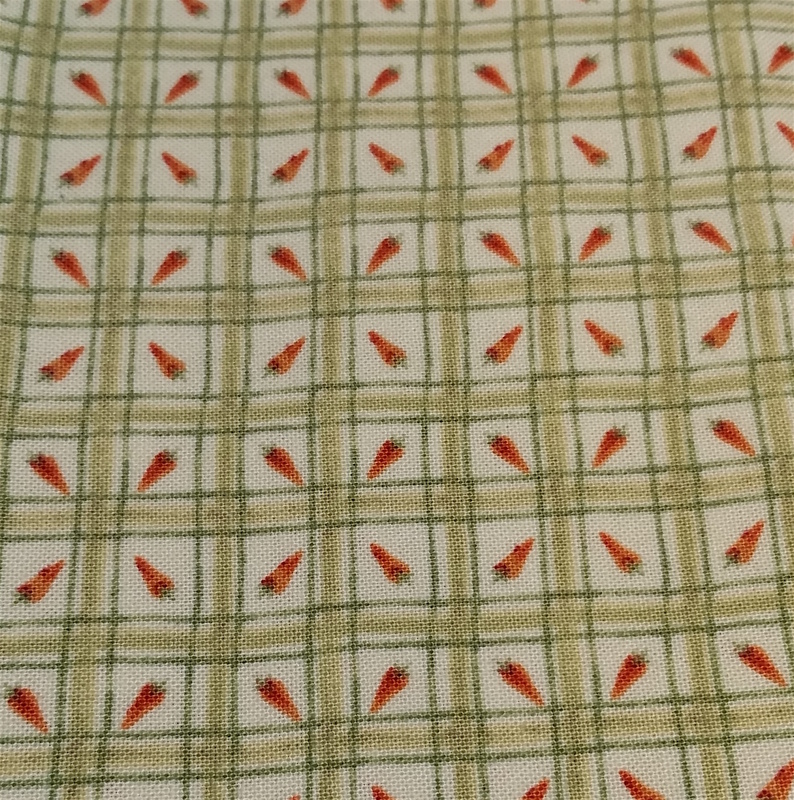 One of the reasons was this cute fabric with carrots, which I’ve had for years. That made adding greens easy. 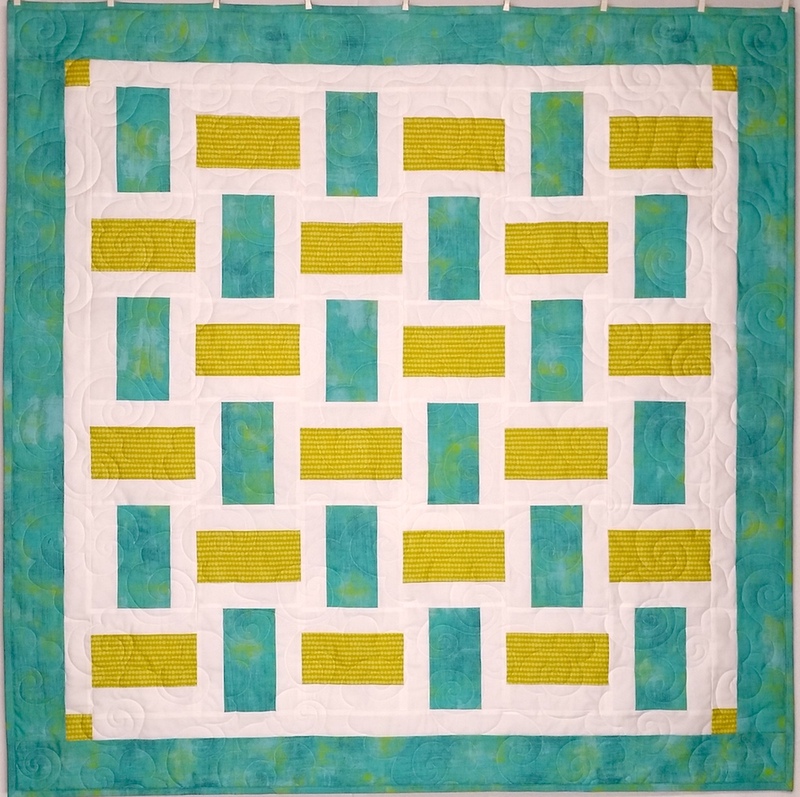 Another small quilt in my past added turquoises, so I tried them and they helped brighten the scheme. 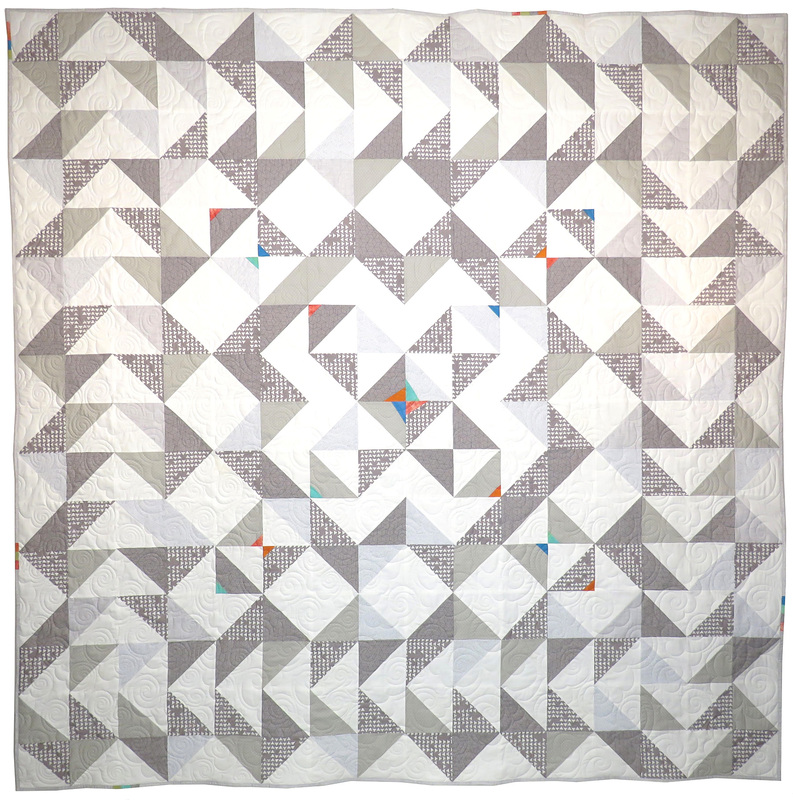 Besides the plaid above, you might also notice other gridded fabrics in the mix. The lattices tie the theme together even more. 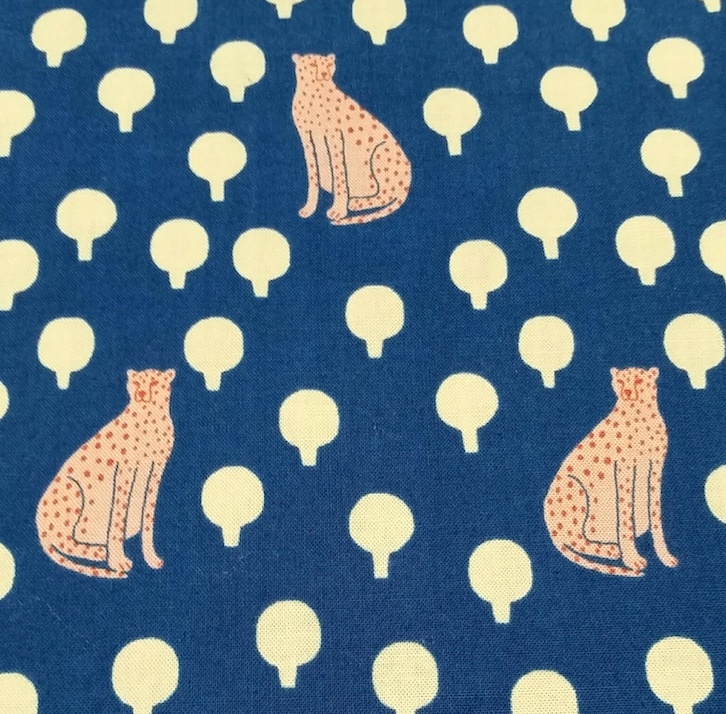 Using the speckled fabric in the background, rather than pale yellow, completed the plan. Stars for Nora. 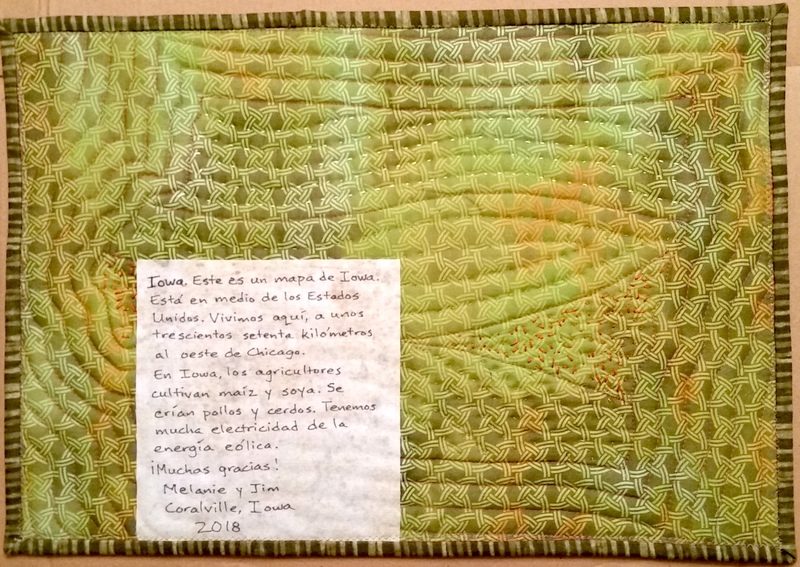 42″ square. August 2016. Photo by Jim Ruebush. 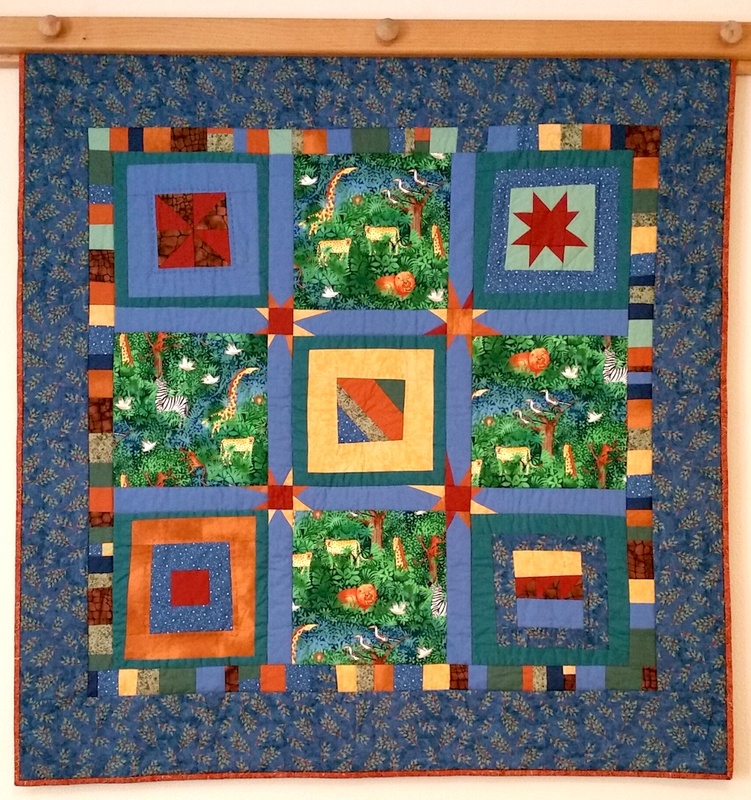 This entry was posted in Quilting and tagged Baby quilts, Bunnies, Inspiration, Moda, Process on September 9, 2016 by Melanie McNeil.